Самые последние новости, статьи и их обсуждение! Внимание!!! Новости могут появляться на английском языке! Для тех, кто не знает английский, текст можно перевести на сайте Перевод! Following on from France Football’s news story, the Spanish and Liverpool striker tops a list of five players for the coveted trophy Fernando Torres has been listed as favourite for the 2008 ‘Ballon d’Or’. The 24-year-old striker, who had an excellent debut season for Liverpool, scoring 33 goals in all competitions, was also decisive for Spain at the recent European Championships. The forward scored the winner in the 1-0 final win over Germany in Vienna. French magazine ‘L'Equipe’ praised the Spanish forward following a superb season for both club and country, calling Fernando the ‘L'Enfant-Roi’, the ‘Boy King’. ‘L'Equipe’ went on to describe the striker’s past year, before concluding that the forward is close to ‘finding’ gold. The next name down on the list after Fernando Torres is Cristiano Ronaldo, followed by Fernando’s Spanish team-mate Iker Casillas, then Andrei Arhsavin, and finally Lionel Messi. According to ‘L’Equipe’ Torres is favourite to lift the trophy, and if successful, the striker would become the first Spaniard since former Inter and Barcelona legend Luis Suarez in 1960. Suarez also collected two second placed awards (1961 and 1964) and a Bronze award in 1965. Following Spain’s 44 year wait for a major international trophy, this year may also see Spain end a 48 year wait for the ‘Ballon d’Or’. If I were journalist I would know it… But I would do it for my future, each year at this time of the year people don’t know to talk about something else. I don’t have a lot to say about it. My future is settled. People insist in debate the only thing that is clear is where I am going to be the next year. I have a contract, I want to stay here and I have more important things to think about. Fulfilling the aim, that it is being classify at the Eurocup. Is my fifth season at the first squad and it’s time to do it. Yo see the time goes by and never comes, but this time is going to come. The truth is that we improve slowly. The UEFA cup it would be a better step. The Champions a good one. - Your future is join precisely to be in Europe. I already said no. My future is not join to the results. If it were for that I would have already left from Atleti, but this year is going to be different. If is not like that I won’t plan anything. I know that in spite of I tell you people will talk about offers and probably they will come, but with Miguel Angel Gil tells me he wants me here, that’s all and there is nothing to talk about. Just I would leave of mutual agreement and if the club would tell me that we should accept an offer. I hope never happen, but I would value because I don’t like to be were people don’t want me. I have offers, great offer these last two years. And I never did anything behind the club’s back, the ones who called we sent to Atletico. - And If this year is not the one, what term have you establish to achieve it or to leave? I am 23 years old, if I had 28 and I wouldn’t play at Europe probaly was time to leave. But what people don’t understand is that i want to play hereand until 28 years old I have a lot of time to do it here. All my aims, my dreams, are to achieve things in Atletico. I have left 10 years to play football and in I think it will be just in Atletico and also achieving the rest that I have marked. I am secure. - I don’t know how you can be so secure of something so chimeric. The easiest thing it would has been to leave, but I want to stay all my life because the titles I achieved here will be mine, and I am going to enjoy it more. I am sure. Is it so difficult people are convince that this is my house and I am an Atletico? People tell me that why I don’t leave, why they don’t ask to the Atletico supporter to change the club, because here they don’t win anything. It is very hard leaving this club. To them and to me. Anyways, I notice that a lot of people wants me to leave. A lot of people. The most confortable to me would be going to another club, the most difficult is staying here, in a team that doesn’t play at Europe. Like is easy to be of Barça or Madrid team. I know that are teams that play at Europe that would give possibilities to achieve my aims, but I want to win it here. The most important is to be at the percfet place because I know that in football, as the level of players as the teams, is matter of time. Also a lot of Atletico supporters stopp me and tells me to leave, they say it quietly, but with sincerity, because they appreciate and because I feel loved. But I am convince that Atletico can fight for the close future if we do things well. What about Sevilla. Isn’t fighting for everything? And has won the UEFA, and the Supercopa... Villarreal was at the final of Champions, Valencia is consider one of them and it has achieved it in few years. Football isn’t just money. With work and work well done you can achieve a lot of things. We just need to trust in a project and work two or three years on it. Also, the sell of the Stadium will give us that money that will be a help to that project. Improving what we have. Not with ten new players ech year. When the capital scarces we have to look for another way to achieve it. But it seems that Atletico is not able to keep that proyect, there is a lot of hurry, nervous and insecurity. That’s truth, here is more difficult to work than in other clubs. Over here the history pressures you when things doesn’t goes well. That’s why we need pacience. But I am secure what I am going to achieve here. - Garate, a historic reference, he gave you the other day good advices. Would you bear in mind? The ones that are for me, of course, but the other ones are to the club and for the team. What he has said he has already said it to me. I know what Garate represents in this club and he played at my position. I don’t take the hint about what he told me. It is the club who has to know if it wants to grow or not. - But aren’t you afraid about the indefinition of the club, the lack of results, ended pulling you into it. I don’t think so, probably because I have brought up here, because more than the negatives things lived here I can’t live in some where else. I have brought up in the terrace as a supporter, then I have been ballboy, then I have debuted at the second division and I’ve seen to the team with an economic control of Administration. Unfortunately as harder you learn as sooner you see everything. I haven’t had not many happiness here and that makes you mature, that makes you stronger. - Of course you aren’t like a boy with 23 years old, it seems you are 30. That’s normal. When I was 19-20 I had to carry with the responsability of the team. And that’s easy to say, but very complicated to feel. I had to mature more and enjoy less. - It could happen to you like Raul, with 28 years old a lot of people wanted to retire him, because they were fed up of seeing him. I know, Raul when he was 23 he had won almost everything, he is God to the Madrilenians and he will be all the life. I know that people get tired of the players. I know that it will happen to me when I were 28. After ten years old in the team people will wanted to could-shoulder to me, but I prefer don’t thinking about it. He told me that before. I know what I have to improve, everything. You improve with success. I trained every day to improve everything I can and I think I improved a lot in a short time, because before I never had time to improve little by little. So much responsability and the team needs have taken me time to develop. With 20 I was one of the captains and here is a hard position each year the squad is almost new. - Your relationship with Luis Aragones is compulsive, appreciate or hate each other. You had a brush a short time ago. A brush, no. We talked about a lot of things. People said that we have talked about me and my future but that is not true. That’s all. About Luis I have to say that is the hardest coach I had and the coach that more time has spent with me. First two years in Atletico and now two more in the National Team. I always admired him. He is a demanding coach, he likes the old school and now football has change a lot. When he came to Atletico he tought me a lot of things. He demands me, but I know he defends me a lot. - What do you like more: football or playing football? Playing. I am not an obsessive that spend all day whatching matches, but I watch the sumary every season, the Champions and League matches. I whatch also the English League, I like it because their team play with a great speed. I like Liverpool. I like also Milan . People say that is a team which does not play, but It wins everything. Because talking about how I am in my private life you need some ground and information. The critics can say how I am in the pitch, but the ones who don’t know me they can’t say how I am outside and trying to make an opinion. I am not distrustful. I am a trusting person... too much. Fernando Torres started playing football in his district, but one day the coach of a rival team sent a formal complaint to the federation because he was not the legal age to play in that competition. It was true – his parents had faked his registration – but he was not too old, he was two years younger than permitted. And he was the top goalscorer that season. Later on, when he was a tall, thin 11-year-old, he went for a trial at Atlético Madrid. “He showed intelligence, explosive pace and bravery. He did not think football like a child would,” Manolo Rangel, the coach who gave marks to the youngsters and who became his mentor, said. He gave Torres 11 out of 10. What makes Torres special, though, is not his ability, but his mental strength. Listening to him in a restaurant near the Atlético training ground, the reaction to his words is one of amazement – he sounds older than his 23 years. Torres was born in a modest district in the southern part of Madrid. “It is a working-class area,” he says. “When you grow up in a place like that, you never forget where you are from. My parents taught me to respect the family, the authority of the elders. Torres talks with a monotone voice, looking you in the eye. The voice says shyness, the eyes confidence. And his words reveal the extent to which he has had to grow up quickly. He is the youngest player, at 17, to play for Atlético and the youngest, at 19, to become captain. He made his debut in 2001 against Leganes and scored his first goal the next week against Albacete. After two years in the second division, Atlético returned to the top flight and Torres scored 13 goals. Since then, he has been the club’s top scorer in every season. In 1999, he was voted best young player in Europe and Arsenal tried to sign him because he had no contract. He got one straight away. Recently it was extended until 2009, but the buyout clause was reduced from €60 million to €40 million (about £27 million). He said then that “the club will grow and me with it”, but also that “we have to make it into Europe, be top four”, which sounded like conditions to stay. Rumours last summer suggested that Torres was close to joining Manchester United. There were meetings between Sir Alex Ferguson and his representatives in Paris, but after United signed Michael Carrick from Tottenham Hotspur, the chance had gone. Some consider this the reason why his progress has faltered. Initially, he had been greeted as the next big star. He was different from the typical Spanish striker and seemed to have come from the French school of forwards, from the same mould as Henry and Nicolas Anelka, who are skilful, powerful and score goals. But now people concentrate more on his weaknesses, saying that he is more interested in raising his profile, in the manner of David Beckham, than improving on the pitch. Luis Aragonés, the Spain head coach, also said recently that Torres “still has a poor first touch and doesn’t finish well”, and despite fitting the profile of the player Manchester United and Liverpool are looking for, he is, as a friend said, second in many lists of potential targets. But Torres appears to be keen to play abroad. Those words will have many Premiership managers pricking up their ears. Fernando Torres is very happy with life at Liverpool. In an interview with Spanish news agency ‘EFE’ the ‘Niño’ analysed his first three months at the Anfield club. - Is football in England really that quick? It is very fast paced, and you don’t get so much time to stop and take your breath as you do back in Spain. Not only is the football quick, but it also more physical, and it is that part of the game that I am probably taking longest to get used to. Your marker is always close-by and you have to be very strong to get those extra few metres ahead. With each game I play I am more surprised with the amount of physical contact there is and how the referees let the game go on, but it is better for the game because there are less fouls and stops and starts. - What is it like to play against a centre back like John Terry? Do you understand him when he shouts at you? You always learn to understand the things that happen out on the pitch first. During the first three or four days of training you don’t really understand anything, not even the types of training exercises that have to be done. You soon pick it up though, but when Terry, or anybody else for that matter, talks to me quickly, they can say anything they want because I will not be able understand them (laughs out loud). Yes. It is important to learn the language, although there are a lot of Spanish speakers. It is also important to be able to communicate with all your team-mates. For example, Rafa Benítez speaks to us all in English. When it comes to ones personal life, it is necessary to be able to speak English so that you can go and get things down without requiring the help of others. - How is life in the dressing room? There is a good atmosphere in the dressing room here and I get on really well with everyone. Even though the players have won nearly all there is to win, they are still hungry for more. At the beginning, you spend more time with the Spanish contingent, but it is a very open dressing room with no defined groups, unlike what you might find in Spain. - On BBC’s 'Match of the Day', presented by Gary Lineker, it was said that Liverpool would win the league if you score 20 goals. That would be great, and Rafa Benítez is a perfectionist and when it comes to that aspect of the game, he makes us work hard. In the end it is important that the strikers create chances and get into goalscoring positions. This team plays a lot of attacking football and the strikers always get a chance to score. Hopefully what was said comes true! - Benitez must have a special formula to get a team into two Champions League finals? Yes, because things don’t happen by chance. Rafa is very methodical, knows exactly what he wants and knows how to build a team based on how he wants to the game to be played. This formula has led Rafa Benitez to create history at both Valencia and Liverpool. He looks for players who adapt to his system, and his way of doing things. There are players who accept the squad rotation and that is the secret; that the players believe in the manager, and the manager makes the players feel important. - How does a player cope with the squad rotation system? For example, the minutes pass by and you ask yourself, I am not going to play today? You have to accept it. His side’s results have proved him right and you have to remember that you are part of a team, and that it is best for everyone. - Have you heard any Fernando Torres chants yet at Anfield? The other day I heard the first chants and I felt happy, proud and surprised. I am surprised at how quickly everyone has taken to me, and the really warm welcome I received. It is hard to take it all in. This is such a large city, and there have been so many important players, and it is great that have taken to me from day one. Every game you play at Anfield is a special experience. - What do you do in Liverpool that you didn’t do in Madrid? and what do you miss from back home? As of yet, nothing. I am enjoying every day here with my team and my team-mates. In the city I am enjoying being able to go to almost anywhere without any problems. - Any curious stories of life in England and how things are different from Spain? Nearly everything is different; the money, they use miles instead of kilometres, and they drive on the other side of the road. At the start I was a bit tense when it came to driving, like for example when it came to a crossing in the road, I would look the wrong way first, but you adapt to the change. It was funny though when I went back to Spain with the national team and had to drive on the other side of the road again, you could say it was a really strange experience (laughs out loud). - Back to football in England, is it safe to say that it is seen almost as a religion? No, that is a slight exaggeration, though I have been surprised at the passion shown by the fans and how they treat the team. I have never seen anything like it. It is normal to see a young boy or pensioner cheer the team on, or wear the shirt proudly in the street. It is really impressive, and football here is what it should be, pure entertainment. People go to the stadium to enjoy themselves, and win or lose, they are always behind their team. - Fernando, you have been in England for almost three months, are you happy with your decision? Yes, very much so… and with each passing day, even more so. Fernando Torres made an immediate impact at Liverpool in a record-breaking first season. Before then, the scorer of Spain's winning goal in the Euro 2008 final spent 12 years breaking records at Atlético Madrid before moving to Anfield. For seven of those years he played in the first team, where on his debut he became the youngest player in Atlético history. In his third season, became Atlético’s youngest club captain at 19. Like others before him, el Niño didn’t start out in attack, serving his time with a stint in goal. Losing his teeth as well as the match forced a rethink, and he found his natural home up front, becoming Atléti’s top scorer for five season’s running. so. He won his 50th cap against Russia at Euro 2008. In an interview - also published in Champions, the official magazine of the Uefa Champions League - Torres shares with Guillem his thoughts on the many people and places that have helped shape him, both as a player, and as a person. Guillem: What did you learn from your first coach? Fernando Torres: I’ve had lots of coaches, from when I was five, but my first professional coach was Manolo Rangel at Atlético when I started there at about ten years old. He was the first one who told me I was going to play in the top flight, but he also used to remind me I should always aim to enjoy myself. He used to let us choose the training exercises, one player each day. He’d ask one of the kids: “What do you want us to do today?” Over the years you forget the details, but the thing he taught me that has stayed with me is the importance of enjoying yourself, as if it wasn’t a job. I learned from him that you have to apply yourself every day in training, but above all, that this is a game to be enjoyed. Guillem: And the man in the street? When you play for a football team, it’s times like that you realise many people love you more and care more about you as a person than a footballer. I took those words to heart. Of course, people had said similar things to me before, but this was different. the things football is losing little by little. But I will carry those words with me for a long while. That really moved me. Guillem: What has your father taught you? Torres: A lot. A person is a reflection of his parents. I’ve never been one for trying to stand out, and I’m embarrassed being the centre of attention, but whenever I am in the foreground, I know my father is always there in the background watching over me. I remember playing a match for Atlético when I was eleven or 12 years old in the village of Leganés, and the coach decided to substitute me. There was a guy watching the game, hurling abuse at me, calling me all kinds of names. I put my head up and looked at him, and my father was there, right next to him, but he didn’t say a word; he was completely impassive. He didn’t even look at this guy, let alone say anything to him or start a fight like some parents might. He was just there. I will never forget that. He was watching everything that goes on and accepting that is the way things are. And that’s how he always is: there, supporting me regardless of what’s going on around him and always with a very gentleman-like attitude. People might be surprised with my dad’s reaction, but it is a reflection of his personality, the way he has always been, in the background, accepting things as they come. I learned from him at that moment, this is something I would have to put up with for the rest of my career: Insults, criticism from people that don’t know me. I have had it from packed stadiums, but I know my dad has been in the stands watching me. So, I have learned to prefer to stay in the background, to let people around me take the spotlight, something I’ve never been comfortable with. I’ve never forgotten, thanks to my dad, the importance of the ‘other person’. Of course there have been occasions where I haven’t been able to avoid the plaudits, or to be in the headlines, but I have always preferred the people closest to me to get the attention. Torres: I learned all about self-sacrifice from her. She gave up a lot to see me fulfil my ambitions. She didn’t go to work because she was too busy taking me to and from training: every day, from where we lived in Fuenlabrada into Madrid, which meant getting a train, then a bus, then walking through a park. She did it at eight in the morning and again at six in the evening, just to make her son happy. I sometimes think about many old teammates of mine that didn’t make it, and they had mothers who did the same for them. Both my mum and dad gave much more importance to looking after their son than to themselves. It’s a gift they gave me – I am much happier when I see people around me happy than when I am happy myself. Everything I am now is a tribute to my mother’s hard work and all that she gave up for me. Guillem: What about your girlfriend, Olalla? Torres: I’ve learned a great deal from her. That’s how it is when you find someone you want to share your life with: you have a lot in common and you learn from one another but, above all, they give you something you don’t have yourself. She is a calming influence on me whenever I’m being impulsive, when things are not going well or when we lose a match. She has had to suffer much disappointed ranting and moaning, especially when I was at Atlético. Now she is also having a good time herself. She has always known how to calm me down when I haven’t been able to see the way out of the tunnel, or wake me up when I’ve been sleeping. She pushes me when I need to be encouraged. The person that lives with you is sometimes the only one capable of helping you up when you don’t realise how down you are. Guillem: How about your dogs? Torres: That it’s not all about the material things in life. It’s not about the things you have or what you have achieved. Life’s about the little things, like five minutes playing in the garden with my dogs. It helps me forget about everything else. Sometimes ten minutes with my dogs can mean as much to me as playing in a big game of football. Guillem: What have you learned from playing alongside Steven Gerrard? I’ve heard people say he should be stronger, have a stronger personality. And I know by experience how difficult it is to deal with all that, and he’s at another level of course – because Liverpool is a huge club. I was captain of my team from a very young age and I knew everybody was talking about me. I could feel it, I could see it out of the corner of my eye, especially when things weren’t going right. People look at you from a distance and challenge you with their eyes. All that happens every day to Stevie and he copes with it, everything that is expected of him all the time. He’s always under tremendous pressure to perform, and everyone looks to him to show leadership, to lift the team. He’s a great example to everyone, and those of us who have been in a similar situation know how difficult it is to handle. It’s incredible the way he carries himself regardless of what is going on around him. I’d love to be captain of another team one day, and Steven has shown me how to be a great leader. Guillem: Anything from a referee? Torres: Well, first of all that these guys aren’t the enemy! We’re all just trying to do a job: players and referees. I’ve chatted with refs in Spain for like half an hour about football and stuff, and you know what? We shouldn’t complain about their decisions, get too angry or protest too much, because, after all, they are just trying to do the best that they can. We’re all in the same business. There was one ref in one of our matches – I can’t remember that well what happened, but I know I was the subject of abuse – and he came up to me and said: “Now you know how I feel every weekend.” Before that, I hadn’t given it much thought, I used to have a go at them myself. Now I try to help as much as possible. We have to realise everybody is fighting his own corner . Guillem: What has Rafa Benítez taught you? 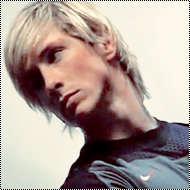 Torres: To demand a lot of myself daily, not to relax. When you are in a team where things are going mostly well, players tend to relax. But you must always push yourself; never become complacent; try to do your best every single day. At a club like Liverpool, you can’t sit back after scoring 20-odd goals and say: ‘Well that’s it.’ After you score 20, Benítez is at you during the next training session and stays on top of you all day, all week. He tells you to go off on your own and do new exercises. At times like that you don’t realise all he wants is for you to improve. I want to progress in life, not relax, not be complacent, and you need someone close to you telling you to keep at it. It is impossible to do it otherwise. We don’t always fancy having someone like that so close, but in the long term I am sure everybody will thank him for it. Guillem: Did the Atlético fans teach you anything? Torres: I’m an Atlético fan, and I would love the chance to go back there. Maybe I’ll be able to play them in the UEFA Champions League! I like to think I’d get a good reception from them. Whenever I bump into an Atlético fan in the street, I’m still considered one of them, one of their own, and that’s a wonderful thing. It would be really hard for me if I ever went back there and I didn’t get a warm reception. That would be very difficult to deal with. I hope it is not the case. Guillem: And the Liverpool supporters? Torres: You can’t imagine better support. They are totally behind their team, supporting us through thick and thin. No matter what happens they are always behind me and the team – when you’re wearing that red shirt of Liverpool, they give you their full support, to the death. If you make a mistake they won’t criticise you – because you are wearing the Liverpool shirt, and they support the shirt well above any name. They enjoy the players they have at any time, and they are gracious when former players return with other teams, showing them their appreciation. When things are going well, they love their players; when they are going not so well, they are still proud of their team. As players, we always feel we have their backing, that they’re 100% behind us – and we appreciate that very much.That’s the big difference between here and Spain. Guillem: What about books or films? Have you got anything out of them? Torres: Different things from books, but above all, friendship is very important. Your relationships are all you have, even when there is nothing else left, and I’ve learned that your friends should be for life. The other thing is that because books are written from, and reveal, people’s personal experiences, they have taught me that deep down we are all the same; we all have the same hopes, desires and fears; the same basic needs in terms of security, family and relationships. I’ve learned, too, that envy can be a very bad thing, a bad quality. However, it’s not something I’ve encountered here. The people you meet just aren’t like that. Wherever I go, whether it’s Liverpool or Manchester, the people have always been very kind and respectful. Ultimately, I’ve learned to enjoy what I have in life. Guillem: What about the journalists who write about you? Torres: I’ve learned a lot from a number of journalists! At the end of the day, we footballers are quite egoistical, and most of us would probably say that good journalists are the ones who say good things about us, and the bad ones are those who paint us in a bad light. I’ve learned that there are some who print bad things and criticise me – but not as a way of helping me, but to do me harm, and hinder me. I won’t name names and they’re not worth worrying about – but do I want to show them they are wrong? Whatever I do, I do for myself, but yes, sometimes I also do it to show them they are wrong. Perhaps their criticism has been right at times, but now, whenever I step out on the pitch, I make sure they can’t say that any more. Guillem: Finally, have you been affected by a journey or a place you’ve visited? Torres: I’ve been to quite a few poor places like Polynesia, Bora Bora, Natal, the Amazon in Brazil, parts of Mexico: places where the people are exploited, where they have next to nothing. And the thing that has stuck with me most is that the people who have the least are always those who are willing to give the most. In these places, devoid of material things and the envy that we obsess about in our world, I’ve found the people are so generous and prepared to share everything. And you know what, it makes you realise that sometimes we players live an unreal life. I would love sometimes to live away from some of the stuff that surrounds us, the excess of money, the jealousies. I go away to these places and it makes me want to share everything with everybody. Then I come back to Europe and, well, it is different here, isn’t it? Spain ended a 44 year wait for a major international trophy with a superb win over Germany in the final of the 2008 European Championships. Vienna was the scene of the Spanish national team’s triumph, as Fernando Torres scored the game’s only goal; breaking away from Lahm before placing a delicate chip over the on-rushing Lehmann in the German goal. Fernando Torres looks back over Spain’s Euro glory in moment 15 from his personal album. The forward describes the run-up to the final clash versus Germany, along with the team’s celebrations at the Ernst Happel Stadium, and then later back on home soil celebrating in front of hundreds of thousands ecstatic fans. Нападающий сборной Испании и «Ливерпуля» Фернандо Торрес рассказал о своем отношении к главному тренеру клуба Рафаэлю Бенитесу. «Бывают дни, когда думаешь: «Боже, этот парень не дает тебе дышать». В таких случаях не понимаешь, что он просто хочет, чтобы ты постоянно совершенствовался. В таком клубе как «Ливерпуль» нельзя останавливаться даже после 20 забитых голов. Тренер будет следить за тобой уже на следующей тренировке целый день, потом и всю неделю. Бенитес постоянно говорит о работе и новых упражнениях. Я хочу прогрессировать, не хочу расслабляться. Хорошо, что рядом есть человек, который постоянно тебе об этом говорит. Что касается Джеррарда, то он отличный пример для подражания. Он постоянно под прицелом: в раздевалке, в пабе или на стадионе. Мне бы хотелось когда-нибудь стать капитаном, и я буду брать пример именно с него» – цитирует Торреса официальный сайт клуба. Владелец лондонского "Челси" Роман Абрамович хотел бы видеть форварда "Ливерпуля" Фернандо Торреса в своей команде, сообщает Daily Star. По информации издания, "аристократы" готовы предложить "Ливерпулю" 160 миллионов долларов за новоявленного чемпиона Европы. Ранее "Ливерпуль" отклонил 90-миллионное предложение "Челси", теперь же лондонцы всерьез намерены приобрести форварда за любые деньги. 24-летний испанец, ставший автором единственного гола в ворота сборной Германии в финале Евро-2008, может получать в "Челси" около 200 тысяч фунтов в неделю, что сделает Торреса одним из самых высокооплачиваемых футболистов в мире. По информации издания, Абрамович выделил наставнику лондонцев Луису Фелипе Сколари около 500 миллионов долларов на трансферные нужды, а покупка Торреса поставлена в разряд приоритетных. В минувшем сезоне Торрес сыграл за "Ливерпуль" 33 матча в чемпионате Англии, став с 24 голами лучшим бомбардиром клуба. P. Reina: Fernando, didn’t we first meet with the Spanish Under 21s? PR: I played alongside Aranzubia, Yeste, Colsa, Orbaiz, Coira… I was there for four years, and I spent two of them with you. By then though you had already played with Atletico Madrid’s first team and people were talking about you quite a lot. You stood out, and it was plain for all to see that you were going to make it big. Just look at you now! FT: I remember that you were with the U21s, and that you were the captain. I was new, and I looked up to the more veteran players like yourself. PR: I never really got to know you properly until you joined Liverpool. You were quite shy and you never really raised your voice. But after spending more time with you I soon saw that you are actually quite different from what I first perceived. You give everything to those close to you, and you are not at all shy. FT: You always get to know somebody better playing alongside them in club football than with the national team. The players do not normally spend a lot of time together when they are with their country, and when you there, you end up spending more time with the players from your own club. It is only when you are at a club side, you get to know those around you more, but then again, sometimes even that does not work. PR: In today’s game there are a lot of players from a lot of different places, and it is not easy to make friends. FT: You have got a good point there. Say we had met a club in Spain, we might never have got to know each other well. We might have already had friends at the club, and therefore would have spent more time with them. Here though everything is different, you are in a new country and you look for support form those like you. After that first step, if you both get on, all goes swimmingly. PR: We are two Spaniards abroad and are lucky to live just 50 metres apart. I was also fortunate to have Fernando Morientes nearby, and Abelardo helped me out a lot at Barcelona. He made life a lot easier for me, and that is exactly what I try to do for others when they come here. With you, it has been quite easy. FT: Cheers Pepe (laughter). When you arrive at a new place you have a lot to learn, especially if it is a different country, currency, climate, and where you have to find a place to live. You have to adapt to the change if you want to feel at home. You have been here to help me with everything, and the results are there for everyone to see out on the pitch. It is much appreciated when you only have to concentrate on playing football. Here they expect a lot from a player and you are obliged to go out and win every weekend, and you cannot waste time or energy looking for a house and trying to adapt to everything. PR: You have also done your part to settle in. Some people do not let others help them out, and if both parties do not give and take, it is impossible that things will work out for the good. With you, it has been really easy. FT: I have always believed that you must give and take. Upon arriving at a new place you must want to learn and also be ready to listen to advice. At Liverpool, we all want the same. We all help one another and give our best to reach our goals. It is a very professional working environment here. PR: It has also helped that we share the same interests. PR: We don’t like the same genre of films though. If it is not based on real life or if the story line is not very believable, then you are not much of a fan. FT: I only enjoy fact based films, or films that could happen in real life. You for example do not like video games, preferring to play golf or tennis. You play the odd car game, but that is about it. Thank God that Arteta comes by once in a while to play… and he is actually quite good! PR: Nothing… Though I have to say that I was not always a goalkeeper. Normally when you are a kid you enjoy kicking the ball about and scoring goals. But as time passes, the less skill you have, the further you played away from the forward line…and I ended up in the other goal! It is also in my genes though, as my dad was a goalkeeper. It was almost inevitable that I become a shot stopper. FT: I wanted to be a keeper, just like my brother, but I ended up playing up front. I would have been a great keeper though. PR: You never know, if your goalscoring is anything to go by! Fernando, not even the most optimistic of people would have said that you would score more than 30 goals this season. The first year abroad is hard, and in a league like the English Premiership, more than 30 strikes is more than could ever have been expected. FT: I was really looking forward to coming here. It was a challenge and I knew that a lot would be expected from me. Luckily, everything has worked out well from day one, and my team-mates have helped out, and I owe you all an awful lot. PR: Here they want 100% effort, and the fans are more important than the results. They want you to give your all as soon as you step out on to the pitch wearing the Liverpool shirt; and if you win, then even better. But even if the result does not go the team’s way, come the 90th minute, the fans can be heard singing ‘You’ll never walk alone’. FT: The supporters back the players, regardless of who is out on the pitch. They enjoy watching their key players play, because Liverpool has great players, but Liverpool will always be a team. The fans get behind the side even when things are not working out, and they are always there until the death. That is the major difference with football back in Spain. If a team is not doing well, then it is because the players do not deserve to be wearing the club’s colours. At Liverpool, if a player is wearing their shirt, it is because he deserves it. The fans ask for effort and dedication, and their support is something special, something that stays with you. PR: It is a different way of understanding the game. Both should be respected, but if I had to choose, it would be the way they do things here in England. FT: Life is also different when you are not playing football. Whether you are shopping or having dinner, you have no worries. People respect you. PR: Remember once when we were having dinner at a restaurant and this girl kept looking over? She never said a word, but when we left like an hour and a half later, she was waiting outside in the cold with a shirt for us to sign! There is a lot of respect here. FT: It helps if you are able to enjoy your time away from football, because when it comes to playing, you are a lot less tense. Fans ask you for things, but always in a well-mannered way. They never interrupt you or make you feel ill at ease, and that is worth its weight in gold. FT: You’re right! But we always end up just staying in. When we have people over, we normally go out and about, but we normally just stick around the house… and have a barbeque. PR: Yes, six degrees outside, and a barbeque in the back garden! Never seen anything like it before! FT: I remember one day the sun was shining, so we decided to have a barbeque… and it ended up snowing. We took photos of the grill covered in snow! PR: The weather is a bit temperamental. FT: But when things get bad, we get the board games out. FT: Yes (more laughter). At the moment it is 1-1. Things are quite close, and if needed, there has to be some cheating. We have had some great battles! PR: The truth is that you are pretty well behaved! …at home, and with the team. FT: I try to stay to one side so I don’t put my foot in it! But I have a funny story from when we were in Hong Kong. When you arrive, you realise that you basically have no clue when it comes to the language, but after the first week you think that you can get by. When we arrived at Hong Kong, the manager gave us a brief team talk in the restaurant of the hotel to tell us the day’s schedule. PR: You did not understand a thing! I asked you what he said, and you told me that the luggage had been lost and training had been cancelled! No clue! FT: Yes, that it when I realised I had a long way to go. But I actually thought that the boss had said exactly that, but what he really said was that first we had training, followed by a rest; then lunch and down to pick-up our gear. Thank God that you were there, otherwise I would have overslept! We could watch films and television series together, but you have no taste. Although everyone is entitled to choose what they want to watch. PR: I have to say that you are a great bloke and a good friend, someone who is really open. You might come across at first as a bit stand-offish, but that could not be further away from the truth. You are friendly and a bit of a joker. FT: Well, you are a real cheat, and the worst part, is that it is really easy to spot (laughter). Unlike me, you show your emotions. You are the first player to get behind the players, and you are full of positive energy and you know how to transmit it. I remember when Adebayor equalized against us in the Champions League quarter-finals and you were quick to pick-up Skertl and encourage him to get on with the game. There are no a lot of people around like that, it is something you cannot train. When they scored, I felt like I had been shot. PR: We might be a bit different when it comes to that aspect, but we share the same values and way of thinking, which is why we get on so well. I always try to feel positive, to be in a good mood, and to build a positive environment around me. My dad was the person who taught me to be this way. Sometimes in this sport, that is what you have to hang onto, the good times and the stories you share with others. Life here is really good, the only thing you miss is a little bit more sun. FT: I don’t actually miss the weather, though I do miss a little being around my friends and family. But they are nearly always over so the distance seems far less. At the end of the day, it is only two hours by plane. PR: You’re right. On footballing nights like the Champions League tie versus Arsenal at Anfield, you would have liked to have had more people over to celebrate. PR: Just out of interest, does the Intertoto defeat against us at the Vicente Calderon Stadium still hurt!? FT: We lost 2-0 in Villarreal, won 2-0 at home, but went out in the penalty shoot-out. PR: I did my job well that day! We were losing 2-0 in the return-leg in Madrid, you were playing a blinder and the referee blew for a penalty after you were brought down in the box. Whilst you were down, I pressured the referee to call on the team doctor to attend you. You had to leave the pitch and weren’t allowed back on to take the spot-kick! PR: Our friend Jorge Larena stepped-up, but I saved his penalty. We then went on to win in the penalty shoot-out. FT: I did not even get to take a penalty in the shoot-out. I was fifth in line, but the funny thing was, so were you! PR: We were lucky that day! FT: Definitely, because I have put quite a few past you. But I hope we will also be lucky together and win silverware for Liverpool. Ex-Liverpool midfielder Tommy Smith confirmed to the official club TV that Fernando Torres reminds him of the Anfield striking legend Roger Hunt. Hunt scored 286 goals for the Reds during an eleven year spell with the club and regarded as one of the best players to ever wear the Red shirt. The striker spoke to Telemadrid TV in an interview which looked back over the Spaniard’s career, with a special focus on Fernando’s last season, both for club and country. Here you can enjoy an extract from the first part of the interview. I would not say that I was a world star, but last season was a very good year for me, both on a personal and a professional level. 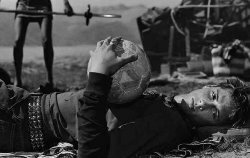 I got to know a new country, another culture and a different way of seeing things, especially when it came to football. Today everyone seems to want to talk about football and share their opinion, though England remains different, and it feels great that you can go out onto the street without receiving any hastle. People do recognise you, but when you go to eat out at a restaurant, or even if you are just taking a walk in the street, people say hello, but respect your privacy; in Spain, that would be unthinkable. If you are happy with your private life, that later reflects on how you perform in your professional life. The problem with such a large transfer fee is that the demands are very high from the first day. Your first year is normally harder and you constantly get reminded of how much you cost. In my case it was different as I was lucky that I adapted very quickly, and therefore I did not have to get reminded how much was paid for me. Before I joined, I asked my now team-mates Pepe, Xabi and Alvaro what it was like to hear ‘You’ll never walk alone’. Everyone told me how special it was; the atmosphere in stadium, and how the fans stand out from the rest. It’s an impressive sight when you watch it on television. I could try to describe the feeling you get when you hear ‘You’ll never walk alone’ being sung, but it is something you have to experience yourself. You do not have to be at a Champions League semifinal, or at game versus Manchester United, because it does not matter who the opponents are. It is truly amazing, and if for some reason you are out on the pitch and not fully focused on the game, the fans definitely get you going. When you hear the fans singing from the players’ tunnel it’s impressive, and the opponents can also hear and feel it; but it’s even more special when you are coming off the pitch after the game and you can still hear them singing. The atmosphere in the stadium when the fans sing ‘You’ll never walk alone’ is something else and I have never experienced anything like it before. The UEFA on-line magazine focuses on the striker’s impressive season for club and country as it looks back at a ‘year to remember for Torres’. The interview, which took place at the beginning of Liverpool’s Champions League campaign, arrives after the Spanish number 9 ended Spain’s 44 year long wait for a major international trophy. Fernando Torres scored the game’s only goal in the 2008 European Championship final victory over Germany. In the second part of the striker’s interview with the Spanish television channel, Telemadrid, Fernando talks openly about his debut year on Merseyside. - How was last year? Last season was my best year. I enjoyed playing in a great league championship, and also in Champions League up until the semifinals. I am at a club where the whole world is watching; it’s a different dimension. - Do the fans have a song for you? There is a song which they started singing towards the end of last season which still sends shivers down my spine. The song came about because of an armband some friends gave me when I was playing for Atletico. My group of friends all have ‘We’ll never walk alone’ tattooed on their arms; a play on words on the famous ‘You’ll never walk alone’. I told my friends that I could not get the same tattoo, so they decided to give me a captain’s armband with the inscription ‘We’ll never walk alone’. I think that the Liverpool supporters took to me when they found out about the armband. The song is sung to the tune ‘the animals came in two by two, hurrah, hurrah…’ It’s an unbelievable feeling when you hear the fans singing your song. There are times when I hear it like twenty times during a game. I don’t know how the supporters can get behind a player in that way, and in such a short space of time. - What are your thoughts on the other Spanish footballers playing in England? At this current moment in time they are the best in Europe. Unfortunately though, and this has happened to me as well, you are appreciated more away from home. We bring something different to the English game, but at the same time, we can also learn a lot from the way the game is played here, things which we then carry into the Spain national side. The more styles and methods you understand and feel comfortable with, the better player you become. - Everyone is saying that Torres at Liverpool is better than the Torres who played for Atletico Madrid. What have you improved? I have improved a lot of aspects of my game. I believe that every player improves with each passing year. This season, I have been able to find peace and tranquillity off the pitch, which has meant that I have been able to concentrate solely on playing football. I have been playing for a side with more quality about it, and alongside some of the best players in the world; players from who you can pick things up very quickly. I feel that I have found the place for me, and I believe that the team and I gel perfectly. I am also lucky enough to play alongside Gerrard, who is a very special player. I have been able to benefit from how he plays. Definitely. At Liverpool I play under less pressure, as there are other players who can shoulder the responsibility; because everyone at the club feels that they are an important part. The manager’s contribution has also been key. Rafa Benitez does not miss a thing and is very meticulous. He works on what he believes each player needs to improve, and this one-on-one training has really helped me. Fernando Torres joined-up with the Reds at Melwood as the forward returned to training. The striker, who lifted the European Championship trophy with Spain, was also joined by fellow Euro ’08 winners Pepe Reina, Xabi Alonso and Alvaro Arbeloa. All four were given extended holiday leave following their involvement at the European Championships held in Austria and Switzerland. Eighteen members of Liverpool’s first team squad returned to the Reds training complex after their summer break just one day after Spain defeated Germany in the final of the European Championship with a goal from Fernando Torres. The other squad players who played for their country were given an extra week, with the exception of Torres, Arbeloa, Alonso and Reina who were handed an extra three weeks following their exploits at Euro 2008. During the summer Liverpool have been looking to strengthen their squad ahead of the new season with defenders Phillipp Degen and Andrea Dossena, joining Brazilian goalkeeper Diego Cavalieri at Anfield. Two first team squad players have also left the club, with Peter Crouch moving to Portsmouth and Harry Kewell joining Galatasaray. Robbie Keane became the fifth summer addition to Rafa Benitez's first-team squad after the arrival of David Ngog, Diego Cavalieri, Philipp Degen and Andrea Dossena. The striker has been brought in to bolster Liverpool’s attack after the departures of Peter Crouch and Harry Kewell. Liverpool will travel to Spain to take on Villarreal as part of their preparations for the new campaign, which will start with a Champions League qualifier. The Reds, who won their first two pre-season games against Tranmere Rovers and Lucerne, followed by draws against Wisla Krakow and Hertha Berlin, will face the La Liga runners-up on Wednesday evening, kick-off at 19:30 hours (BST). Prior to the kick-off, Liverpool players; Fernando Torres, Pepe Reina, Xabi Alonso and Alvaro Arbeloa will receive an ovation and tribute alongside Villarreal players; Santi Cazorla, Marcos Senna and Joan Capdevila. The seven players all played a part in Spain’s Euro 2008 triumph in Austria and Switzerland, with the Liverpool number ‘9’ hitting the winner in the final versus Germany. The Spanish Football Federation also confirmed that the European Cup will be present at the friendly fixture at the Madrigal Stadium. The Spain squad were received by hundreds of thousands of fans in Madrid, as millions across the country celebrated Spain’s first major trophy success in 44 years. The trophy though will travel to Castellon for the first time since the final victory, in a match, which will also see Torres in the famous Red shirt for the first time on home soil. The fixture at the Madrigal will not be the forward’s first against Villarreal. The forward holds an impressive scoring record against the side from Castellon, with several goals coming against his friend and team-mate, Pepe Reina. Reina used to play in goal for Villarreal and the two friends have regularly joked about their past meetings. Although Rafa Benitez is without Olympic duty players Mascherano, Babel and Lucas, new signings Robbie Keane, David Ngog, Diego Cavalieri, Philipp Degen and Andrea Dossena could all get a run-out on Wednesday evening. Fernando Torres hit his first goal back for the Reds as Liverpool eased past Rangers 4-0 at Ibrox Park. The Spaniard, who opened the scoring, was quickest to a loose ball to slot home after McGregor could only parry Damien Plessis’ shot from distance. The Liverpool number ‘9’ lined up front alongside Robbie Keane for the first time as the Merseysiders made light work of Rangers. Rafa Benitez selected a strong side for the friendly fixture with Cavalieri in goal; a back four of Dossena, Arbeloa, Skrtel, and Carragher; Plessis, Gerrard, Benayoun and Kuyt in midfield; with Robbie Keane and Fernando Torres as the front two. It was a positive opening five minutes from the home side as first Lee McCulloich with a longe range effort, and then Kenny Miller from just inside the box had chances to score. >br> Following the early Rangers pressure, Liverpool slowly came more into the game and after a couple of early scares, took the lead on the 22 minute mark. Fernando Torres calmly side-footed home from close range after McGregor in the Rangers goal could only parry Plessis’ drive. Five minutes later, Keane and Torres linked up well to set-up the Spaniard, but his goalbound drive was brilliantl9y blocked b0y Broadfoot. Rangers had a great chance to draw level on the stroke of half-time. Novo skipped past Cavalieri but his shot was somehow cleared by Dossena on the line. < br> Fernando Torres was brought off at half-time to be replaced by Ngog, as both teams made a series of substitutions. Liverpool put the game beyond the Gers with two goals in the space of three minutes. Ngog scored an excellent individual goal beating the Rangers keeper at his near post with a fierce drive, before Benayoun volleyed home to make it three. Three soon became four as Xabi Alonso calmly scored from the spot after Broadfoot had brought down Nemeth in the 18-yard box. Both teams had chances to score in the final twenty minutes but the result remained the same, as a classy Liverpool maintain their unbeaten pre-season run with an emphatic 4-0 win over Rangers. The Reds will next face Vålerenga in the penultimate friendly fixture on August 5, before taking on Lazio at Anfield on August 8. Rangers: McGregor (Alexander, 62); Whittaker, Broadfoot, Weir (Webster, 46), Papac (Dailly, 46); Novo (Boyd, 62), Hemdani, Thomson (Furman, 46), McCulloch (Adam, 46); Lafferty (Velicka, 71), Miller (Darcheville, 46). Liverpool: Cavalieri (Reina, 62), Dossena, Skrtel (Hyppia, 46), Keane (Nemeth, 58), Gerrard (Spearing, 58), Torres (Ngog, 46), Plessis (Alonso, 46), Benayoun (Pennant, 71), Arbeloa (Darby, 46), Kuyt (Insua, 58), Carragher (Agger, 46). Goals: Torres, 22, Ngog 56, Benayoun 58, Xabi Alonso, 70. The 24 year old forward hit his first goal of the 2008/09 season in Liverpool’s Premiership victory over Sunderland. The strike, which brought three points back home to Anfield, was also special because the goal was Fernando Torres’ 100th in top-flight league football. Fernando Torres scored his first goal in the Spanish top-flight against Seville at the Vicente Calderon Stadium. Since the young forward pierced the back of the net on September 15, 2002, the striker has hit a minimum of 13 goals per season, finishing up as the highest scoring Spaniard in 2003/4 and 2004/5. The Spain number ‘9’ struck 13 goals in 2002/03, 19 in 2003/04, 16 in 2004/05, 13 in 2005/06, 14 in 2006/07 and 24 during the 2007/08 season. The Stadium of Light was the scene of Fernando Torres’ goal number 100 as the forward crashed home a fierce right-footed drive from outside the box. The natural born goalscorer has averaged an impressive strike ratio of almost a goal every two games. The Spanish forward reached the 100 goal milestone on the back of 174 games in the Spanish Primera Liga and 34 games in the English Premier League. Last year the forward scored 33 goals for the Reds between the Premiership, Champions League and the Carling Cup… and this season has seen the striker continue on from where he left last season with the game’s only goal between Sunderland and Liverpool in the Premier League opener. БЛИН,НЕНАДО ТОРРЕСА В ЧЕЛСИ!! !Ненавижу этот клуб. Liverpool have been drawn against Crewe Alexandra in the Carling Cup third round clash at Anfield on Tuesday, September 23. The third round cup tie will bring back fond memories for Fernando Torres. At the same stage in last season’s tournament, the Spanish striker hit a superb second-half hat-trick in Liverpool’s entertaining 4-2 win over Reading. The Reds’ opponents, who were founded in 1877, currently lie fourth from bottom in the Coca-Cola Football League One Table having picked-up just one victory and three defeats. Although Crewe have had a poor start to their league season, the Railwaymen have impressed in the Carling Cup. The Alex defeated Championship sides Barnsley and Bristol City to book a lucrative tie versus Liverpool at Anfield. The Carling Cup clash will be the first competitive match between the two teams since 1992, when Crewe were soundly beaten by Liverpool 4-0 in the FA Cup. Я читала, что на восстановление потребуется 2-3 недели.Возможно, что к матчу с МЮ Ферни выздоровеет!!! А мне вот жаль,что он в сборной не сыграет!Интересно его совсем заменили ил только на время травмы!? Защитник «Ливерпуля» Альваро Арбелоа рассказал, что Фернандо Торрес намерен перекрыть собственное достижение минувшего сезона, когда он забил 33 гола. «Фернандо – сумасшедший парень. Он на самом деле думает, что сможет забить больше, чем в прошлом сезоне. Мне кажется, это невозможно. Я сказал ему об этом в лицо, объяснил, что команды уже будут знать о его силе и сделают все, чтобы его остановить. Но он уверен в своих силах», – приводит слова испанца официальный сайт «Ливерпуля». - Все решит один или два мяча. Надеюсь, что автором гола буду я. Испания заслужила право быть законодателем мод в футболе. Самоуверенность, скажете вы? Быть может, но та, которая присуща великим мастерам. Как и скромность. Да, да. Корреспондент "РГ" стал свидетелем сцены, когда после финального матча к Торресу подлетели журналисты испанских СМИ. Тот с неподдельным испугом посмотрел на внушительную толпу и попросил... задавать вопросы по очереди! Нашим российским "звездам" есть чему поучиться у испанского коллеги. - Фернандо, признайтесь, вы рассчитывали, что станете героем финала? - Такое нельзя предположить. Это чудо, которое стало реальностью. Я знал, что моя команда должна добиться успеха, другое дело, не предполагал, что именно мой мяч решит исход борьбы. - Весь турнир вы были в роли "подносчика снарядов". Не было обидно, что не удавалось реализовать свой бомбардирский потенциал? - Самый главный "выстрел" в своей футбольной карьере я сделал. Наверное, этот гол может послужить ответом на ваш вопрос. Да, иногда мне не хватало удачи. Но не думаю, что теперь кто-нибудь посмеет упрекнуть меня в плохой реализации моментов (смеется). - На протяжении турнира с какой из команд вам было играть некомфортно? - В играх с другими сборными нет ничего хорошего. Это постоянное напряжение. Исключение есть - русские. Они провели отличный чемпионат, хотя в матчах с ними мы были уверены в победе с самого начала. Их обыграть было куда проще, чем тех же итальянцев или немцев в финале. Соперники были хорошие, но не настолько, чтобы помешать нам стать чемпионами! - Он болел за нас и заслужил право считаться героем. Благодаря его голам мы спокойно дошли до финала. - Скажите, была ли команда на Евро-2008, которая могла бы похвастаться таким великолепным футболом, который показывали вы? - Наверное, нет, если мы стали первыми! Торрес согласился ответить и на вопросы журналистов в международном пресс-центре, среди которых был и специальный корреспондент "РГ". Российская газета : Вы считаете, что испанцы победили по праву? РГ : А вы знали? Торрес : Счет, мне кажется, достаточно красноречив. РГ : Сможет ли ваша команда сохранить такую потрясающую игру до чемпионата мира 2010 года? Торрес : Чемпионами быть непросто. Посмотрите на итальянцев. Их, по-моему, подвела мысль о том, что они первые в мире. Нам теперь придется непросто. Играть против чемпиона любой соперник будет на пределе своих сил. И нам надо сохранить тот настрой, который был на Евро. Почему нет? Мы получали удовольствие от игры в течение последнего месяца и вполне можем продлить это удовольствие в будущем. РГ : Ваша цена на трансферном рынке подскочила в два раза. Значит ли это, что в скором времени вы можете покинуть "Ливерпуль"? Торрес : Я рад, что мою игру заметили. Но сейчас не могу думать о том, что будет завтра. Дайте насладиться победой. Хотя бы недельку, думаю, я заслужил, чтобы не отвечать на такие вопросы.